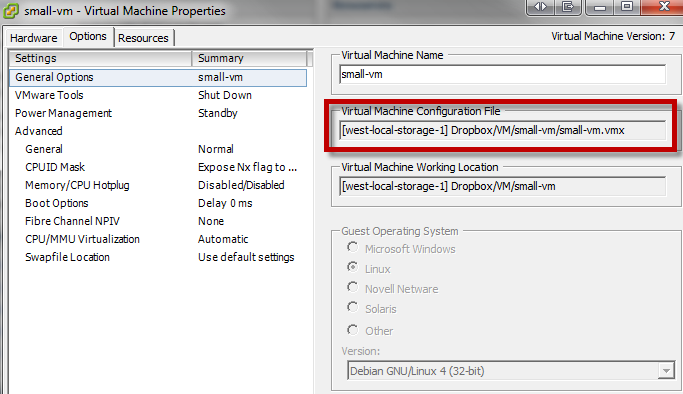 In my previous blog post How to backup VMs in ESX onto Dropbox, I showed you how to backup your virtual machines on ESX to your Dropbox account, but who said it should stop there? I realized after playing with Dropbox on ESX, I had a crazy idea of trying to run a virtual machine that was stored in my Dropbox account. Since I am using the free Dropbox account, I have a maximum of 2GB of online storage and decided to spin up a tiny Linux virtual machine and upload it to my Dropbox account. Not surprised, I was able to register the virtual machine and fire it up and it worked like a charm. Now, this got me thinking .... if I can run a virtual machine from Dropbox via ESX, could I get another ESX host to see this same Dropbox account? The answer is YES! One feature of Dropbox is the ability to access your files across multiple devices: Windows, Linux, Mac OSX desktop, iPhone, iPad, Andriod and of course ESX. 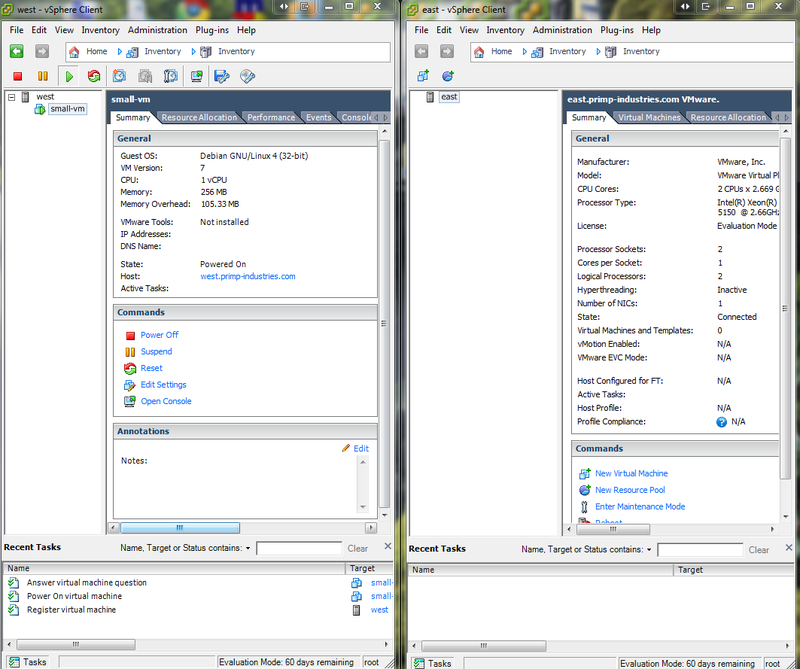 For demonstration purposes, I created two virtual ESX 4.1 hosts called west and east and authorized both hosts to access my Dropbox account. Note: While testing, I found the synchronization process between the two ESX host to be slightly off and were not always up to date when a change was made. I had to restart the Dropbox daemon several times after I created the virtual machine for the other ESX host to see the updated files. I am pretty sure it is an issue with the daemon versus dropbox, since I can see the files updated on the web browser immediately. 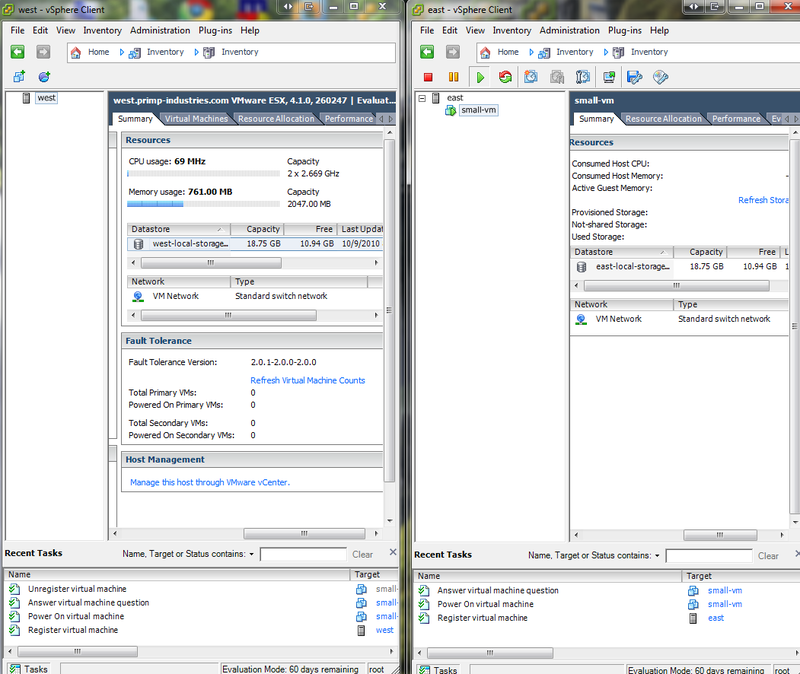 I would be very careful to ensure that only one host is accessing the files, else you could see some discrepancies. 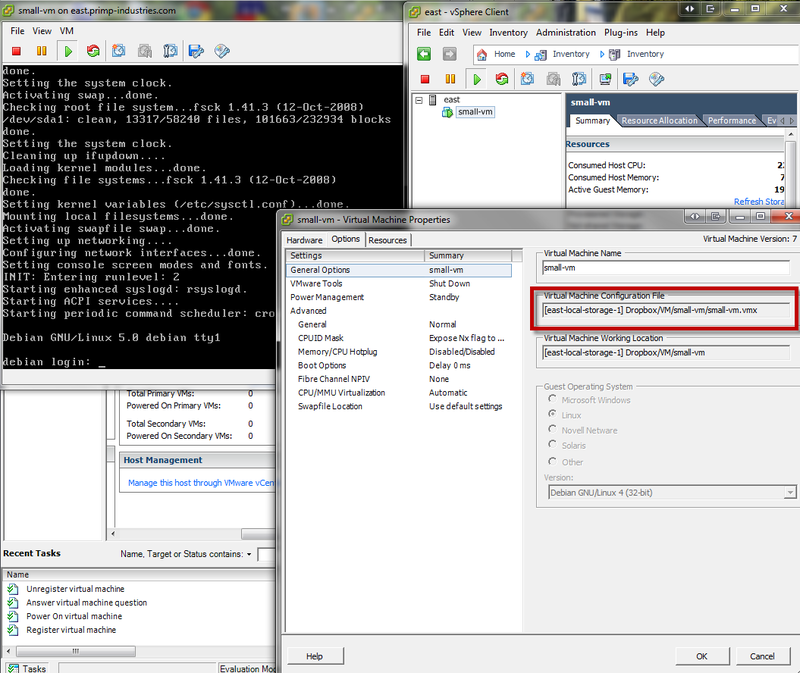 vSphere ESX 4.0 – Crash VM Bug? Educational post! I love it. Dropbox works just like any other folder on your computer, but with a few differences. Any files or folders inside Dropbox will get synchronized to Dropbox’s servers and any other computer linked to your account. Green checkmarks will appear on top of your files to let you know that they’re synced and up to date. All data is transferred over SSL and encrypted with AES-256 before storage. Dropbox keeps track of every change made to any of its contents. thanks all! 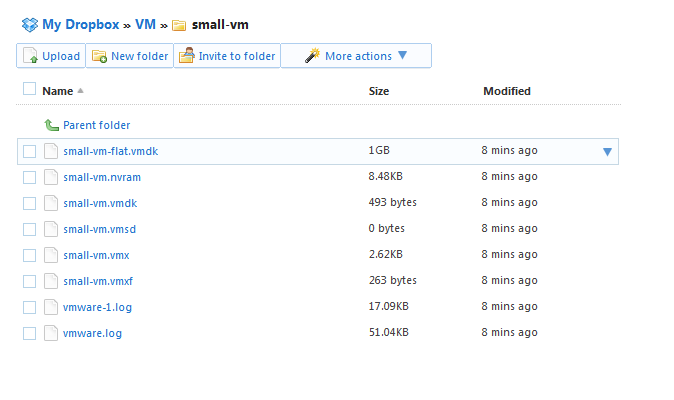 Is there anyway of installing a vm on dropbox and accessing it from an android device?